Sweeping, unobstructed, open-air views of NYC from the top of Rockefeller Center. Pier 86, W. 46th St. and 12th Ave. This renovated museum complex includes the 900-foot-long aircraft carrier "Intrepid" and space shuttle "Enterprise." 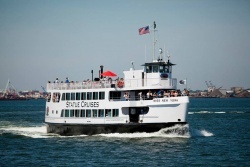 The only provider of ferry transportation to the Statue of Liberty National Monument and Ellis Island from Battery Park. The 9/11 Memorial honors the nearly 3,000 people killed in the terrorist attacks of September 11, 2001 and February 26, 1993. 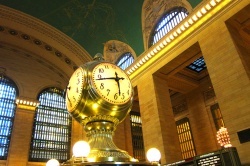 Opened to the public in 1913 thanks to the ingenuity and ambition of a great city, this historic train terminal is a world-famous landmark in Midtown. It's now the home of Metro-North Railroad, a subway station, iconic restaurants, shops, and an Apple Store. In addition to 360-degree views from Midtown Manhattan, the Empire State Building Experience now includes a beautiful new entry area, historical exhibits, and more. 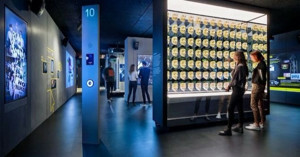 SPYSCAPE is the world’s preeminent spy museum and experience, opened February, 2018 in Midtown. 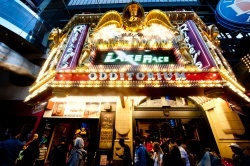 Voted one of New York’s most unique attractions, Madame Tussauds invites you to pose with over 200 figures of internationally renowned musicians, A-list stars, sports legends, world leaders, and more. 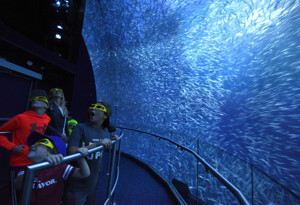 Go on an immersive adventure beneath the seas, from the South Pacific to California. Encounter’s groundbreaking technology doesn’t take animals from their homes, transporting you instead with stunning photorealistic animation of rare moments in nature. BBG inspires people of all ages through the conservation, display, and enjoyment of plants; with educational programs that emphasize learning by doing; and with research focused on understanding and conserving regional plants and plant communities. 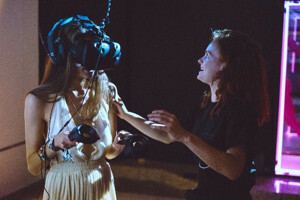 The largest VR entertainment center in the Western Hemisphere is one of New York’s latest attractions. Get inspired by virtual reality in a diverse space with three floors that bring culture, gaming, and entertainment together. The Cathedral of St. Patrick is a decorated Neo-Gothic-style Roman Catholic cathedral church in the United States and a prominent landmark of New York City. 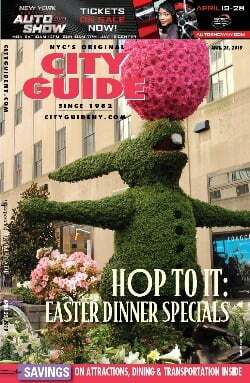 It is the seat of the archbishop of the Roman Catholic Archdiocese of New York, and a parish church, located on the east side of Fifth Avenue between 50th and 51st Streets in midtown Manhattan, New York City, New York, directly across the street from Rockefeller Center and faces the Atlas statue. The collaboratively produced art experience Color Factory takes inspiration from the colors of the city, guiding visitors through 16 participatory installations. St. Paul's Chapel is an Episcopal chapel located at 209 Broadway, between Fulton Street and Vesey Street, in Lower Manhattan, New York City. It is the oldest surviving church building in Manhattan. St. Paul’s played an important role in hosting recovery workers after the attacks of September 11, 2001. Gulliver’s Gate is one of the most ambitious attractions to ever land in New York, a $40 million extravaganza that allows visitors to travel the Earth without leaving Times Square. Latin America, Asia, the Middle East, Russia, and Europe are all here in incredibly detailed miniature, reflecting craftspeople’s work from around the globe. 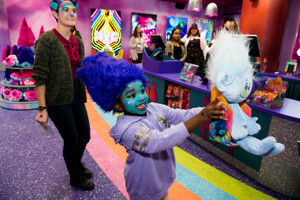 Kids will thrill to the new interactive adventure DreamWorks Trolls The Experience. 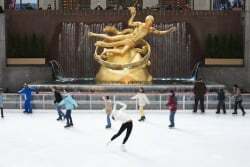 In the heart of Midtown, steps from Times Square and the Theater District, The Rink at Rockefeller Center is a New York City tradition that everyone can enjoy.